Discrimination against people with mental health issues in the workplace still occurs. And Megan Barrow knows, because she has dealt with depression and anxiety throughout her life and was on the receiving end of workplace discrimination as she was dealing with these mental health issues. Megan is now passionate about raising the profile for mental health issues in Australia and is an ambassador for beyondblue. She created a moving video for their recent Get to Know Your Anxiety series in which she speaks first hand about the experience of growing up with anxiety (video below). Australia Counselling founder Clinton Power spoke to Megan about her experience of discrimination in the workplace and shares how employers and employees can get better at supporting and caring for colleagues that are suffering from mental health issues at work. Watch the video below or listen to audio above to hear what she had to say on this topic. Panic Attacks: What are They Telling You? Megan Barrow, Director of JoElla Marketing, is passionate about making marketing simple, effective and fun for small business owners. She is passionate about promoting mental health in Australia and reducing the stigma that people with mental illness experience. Megan is a beyondblue ambassador and speaks on a regular basis about mental health issues. Clinton Power: Hello, this is Clinton Power, founder of australiacounseling.com.au. It’s my great pleasure to be speaking today with Megan Barrow, who is the director of JoElla Marketing, which is a company that’s passionate about marketing for small business owners and making it simple and fun. We’re not here to talk about marketing today. I wanted to talk to Megan specifically about mental health in the workplace. She is a Beyond Blue ambassador. Welcome, Megan. Megan Barrow: Thank you. Glad to join you. Clinton Power: It’s lovely to have you. I know you’re very passionate about the issue of mental health and specifically about mental health in the business environment and the work place. First of all, tell us a little bit about your story. What’s been your experience of mental health in your life? Megan Barrow: It’s something that I’ve dealt with my entire life suffering from anxiety as a child, but I wasn’t diagnosed ’til my mid-20’s. I was suffering from undiagnosed panic attacks in my late teens, early 20’s. With that diagnosis, ended up with agoraphobia, so unable to leave my house or do much for fear of- it’s anxiety that I didn’t know what it was. I thought I was dying and I also suffered depression. Yeah, in my mid-20’s, finally worked out what I was suffering from and had to start all over again. It’s been a bit of a roller coaster in my recovery. I’m now 42. I had my last bout of clinical depression at 37. Since then, it’s been amazing. Clinton Power: I’m so glad to hear that. I’m astounded that it took so long to get a diagnosis. What do you put that down to? Megan Barrow: Bad luck? I went to seven different doctors. As we talk about that in the Beyond Blue: Get to Know Anxiety Campaign, seven doctors that didn’t know what was going on. They were to show me it wasn’t my heart. My symptoms were very systematic, very heart attack-like. Anxiety can manifest in very different symptoms, but they were mine. They would say my heart was fine, lots of ECGs, but because they couldn’t come up with another solution, I just didn’t believe them. Of course, the panic attacks just keep growing. At my worst, I would literally sit at my house, I was living with my mom, and just had my finger on my pulse rate just 24/7. It was just debilitating. I couldn’t do anything much off the couch. I know most people won’t be able comprehend it, and even in my own mind, having believed that it’s incomprehensible to me. Clinton Power: Yes, I can imagine. I guess as a mental health professional myself, I’m just really shocked to hear that story that so many of these physicians would not be able to see that there was clearly- this was a mental health issue going on, not a biological issue, a physiological issue. 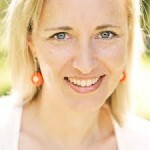 Tell us a bit about- I also read a post of yours recently on Suzi Dafnis’ site, the Australian Businesswomen’s Network. It’s very powerful, about mental health in business. Tell us, maybe segue into what relationship there with you and mental health and business. Megan Barrow: Yeah, thank you. I’ve always been very heart on sleeve and quite honest about my background. That was something, especially having to start over in business. I was 27, 28, had to start from the beginning and there was a big gap on my CV. People were asking. I did get a leg in with the business through a connection, and I was very honest that I had agoraphobia. The connection actually knew. It was real estate and they saw that halfway. They knew. It was a real battle to get the job. I got it. I was fine there, they were absolutely amazing. I went on for a few different jobs. I sort of made my way back into the world, which I had to. I always told people, I think as a comfort level, just in case anything happens or if they expected me to do something that wasn’t in my limitations at that point. It was nothing work-related, “Can you drive off to so-and-so?” outside of the job kind of things. Then, I came across one business, and then sadly, another one that did start to discriminate. Any time I was away, they put it down to anxiety. They would start harassing me about my anxiety, start talking about it to other people. I left those kind of jobs and just got a move on. When I had my bout of clinical depression at 37, ironically, I was working in a hospital. I’ve been there five years, done a lot of amazing work. I know I was a good worker. I was an amazing worker. When my psychiatrist said, “You’re not working, you’re off until we work this out. Until you’re healed, I can’t give you a time frame when you’re coming back.” The first two weeks I had off, my manager was fine. After that, I started to get more and more abuse about when I was returning. When I returned, my psychiatrist asked for a return-to-work plan. Basically, they denied it. I was then, within the day made their own return-to-work plan, and made it as difficult as possible to the point that were meant to make it easier, and they weren’t. Clinton Power: What was the impact of this on you? Megan Barrow: It was interesting. It was horrific from an emotional standpoint, because I trusted these people. I considered these people friends, as well as work colleagues. I realized that they were just annoyed because I backed them up so much in my work. I left. I left. After five years of great service, they lost me. I was at a couple of other places, but as a business owner, I really had to make a conscious decision, which was in Suzi Dafnis’ Australian Businesswomen’s Network article that when I decided to start my own business, I really didn’t want to hide away from my background. It’s something that I’m proud of. If anyone knows my journey and takes the time to know me, they will know that it takes courage and strength to survive and to get that up. You do it on your own. There’s no one else that can do it for you. I decided to make a real conscious decision when the Beyond Blue: Get to Know Anxiety Campaign opportunity came up, to embrace it as part of my business plan. Clinton Power: Megan, why do you think there is discrimination of mental health issues in the workplace? Megan Barrow: This was nurses. I’ve heard them talk about the mental health area and dismissing it. I was in nursing education. We would learn causes of mental health. I was like, “Do you guys need to go to these courses?” It was something I was very ashamed of. In the business, only a few people knew. I realized by the time I got back that everyone knew. Everyone had been told. Clinton Power: There was a breach of your privacy. Megan Barrow: Absolutely, there was. Absolutely, there was. I knew. I always felt like- I was on medication, and I always felt I had to hide taking the medication. It wasn’t until after all this that I thought, “Why am I hiding all this? It’s nothing to be ashamed of.” I think that’s the issue, and that’s a reason why I’m so open about it in business, is because depression and anxiety, there’s amazing organizations starting to break down the barriers and educate the market- the marketplace, is my marketing coming in? Educate the public. Some people are starting to open up in their homes, but no one’s talking about it in business. Clinton Power: You say that one part of the issue is that we’re not talking about it enough in business. There’s not enough education about how mental health issues impact people. Megan Barrow: Yeah, I think it’s still something in the business community that people feel ashamed that it’s going to affect their business. I have taken this on knowing that I may lose clients by saying that I suffered from anxiety and depression, but at the same time don’t want to work with people that believe that this is a choice or want to discriminate against mental health. I’m happy to not work with those people. Clinton Power: Megan, what I love about what you’re doing in this space is you’re really tackling the stigma of mental health head on. I think that’s what needs to happen certainly. I’ve been a therapist for the last ten years. It really saddens me that still, there’s a stigma about going to therapy, that people somehow see it as a weakness, that it’s something that you should be ashamed of. You don’t tell your friends you’re in therapy, while it actually is a very positive thing to do for yourself. It’s really interesting that I actually see people with mental health that when they’ve recovered, they’re actually a lot wiser and self-confident about themselves. I’ve had to get through a bunch of crap in my life and sort it out to get better. You’re actually getting a more mentally health, well-rounded person, mentally healthy person by working with mentally ill people. It’s such a horrible name, but it is an illness. But to get better, no other illness you have to do that with. You work on your body sometimes, but this is all working on the mind. That’s why you should never underestimate or ever second guess about working or employing someone that has had that history of mental health, or is currently going through something. Support them, because I can promise you that they’re the most caring, kind, intelligent people that you’ll come across, most likely. Clinton Power: Why do you think- how has this stigma come about? Why are people in business frown upon people with mental health issues? Why as Australians do we struggle to reach out and get help for mental health issues? Megan Barrow: I think that’s a really big question. I think that it’s got a lot to do with the history of mental health. I forget that in the early 90’s, Jeff Kennett who actually founded Beyond Blue, that he, I’m pretty sure it was his government that closed the psychiatric hospitals, the really bad institutions that were running around. This is very short-term, that we’re starting to break down the barriers. Clinton Power: Was there a turning point for you in your mental health when things really started to improve, and perhaps you felt there was a tipping point? Megan Barrow: For me it was really, I had to want to get better. I literally had to learn to walk one house away. That’s the absolutely honest truth, the extremity of my situation. Because of the video, I had people touching base with me and saying, “You’re the only one that can help me. I’ve gone to so many psychiatrists and counsellors and Beyond Blue and Lifeline. They can’t help me, only you can.” I have to walk away, because that’s absolutely not true. No one helped me but me. As hard as it is, you have to accept that I’m worth more than this, and heal yourself. Anxiety and depression, they’re the only mental health issues I know. They’re very different, so it’s hard. With the anxiety, I had to decide that I want to better for myself and I was ready to have a horrific time recovering. You have to learn to experience the panic attacks and learn they’re not going to hurt you. Whereas the depression was very different. I almost had to heal myself and allow the medication to come into play and to be kind to myself and not take everyone’s dramas on and put myself first and all those sort of things. They’re very different lessons for me in term of why I got better from both of them. Clinton Power: You just mentioned your video. We’ll put a link to the video in the replay page. It’s a very moving video. You seem to just speak so honestly and directly about what you went through. What was it like to create that video for Beyond Blue? Megan Barrow: If you look at the video, you can see an emotional rash coming up on my neck as it goes on. I find it hard to watch it myself, and it’s me. The first time I watched it, I just wanted to give myself a hug and say, “It’s going to be okay.” That’s just my nature, though. I remember my psychologist out of Beyond Blue- that actually took a real toll on me, doing that campaign and doing the mental health work and helping out at R U OK? Day and things like that do take a toll on me. I remember seeing my psychologist, and she said that video, I can see- she knows, and she’s known me for 18 years. She said, “I knew that you were going back to that very place and reliving the whole thing, telling that story.” That’s me. Other videos aren’t quite the same. That’s nothing against them. I think, to help people the best is to try and communicate as best as you can through real experience. For me, that’s actually going back and visualizing the whole thing. Clinton Power: It sounds like it’s actually touched a lot of people. Have you had feedback from people who’s seen the video and perhaps had been suffering from anxiety themselves? Megan Barrow: Yeah, I have. It’s hard. It’s hard not to want to go over and cuddle every single one of them and grab their hands and say, “Let’s just go for a small walk.” It’s really hard, because obviously I can empathize with them to the nth degree. That’s also a positive, that I never had that. I never had anyone articulating to me that you’re not alone. What’s coming out in those campaigns is that, I don’t think I’m inspiring or courageous, but that’s what people are saying, that are watching it. if that can give them hope or make them start their process, then that’s fantastic. Clinton Power: To any employers that perhaps are listening to you speaking right now, what can they do to really support the mental health of their employees? Clinton Power: Just tell us about that philosophy, for those who don’t know. They may not be familiar with R U OK? Day. Megan Barrow: Okay. R U OK is an organization set up in Australia that is from the premise- it was started by someone who lost his father to suicide. At the back of his mind, he wondered, “Could I have made a difference if he knew he could talk to me?” The philosophy of R U OK is to ask the question of people, “Are you okay?”, to listen without judgment, to try and offer support or get them help, not to have the answers. It’s not about having the answers. It’s just about being available to them seeking help, and then repeat. Check, check again. Don’t just do the one off. To this day, I live alone and to this day, I have people that will check on me after an R U OK event or Beyond Blue video. Then a week will go by, and I haven’t heard for them! Lots of things could have happened in that time frame. So, the follow up is really important, too. Clinton Power: That is a great point. I think maybe sometimes, people are scared to do the follow up. They think, “Maybe that was enough. I don’t want to intrude or interfere.” That can actually have a negative effect. Megan Barrow: It really can. It can really make any positives you made on someone, it can actually make someone go backwards. Especially when you’re depressed, you don’t think you’re worthy. Someone says they’re going to be there and they love you and they care about you and they’re going to help you, and then you don’t hear back from them, you second guess. Why didn’t they? That’s the depressed person’s health state, that it’s something that people should be aware of. People think of their time. I’m too busy, I’ve got the kids, I need to make dinner. Just even a text message literally with the acronym RUOK. Four letters. That can make the difference. That can make you feel like I’m not alone. That’s something that people underestimate. I think that’s what we’ve lost in community in general, just being able to ask that of a stranger who’s crying on a public transport or in the city. Yes, there are bad people and people that- most aren’t. Most people say I’m fine, and you won’t need to- but you may make a difference to someone’s life. To go into the employers, what they can do, I think it’s very much having a safe house. We spend so much time in an office that, would it be such an expense or such a time expense to have an area where people can just chill out, a quiet spot, somewhere where you can, a trusted person, knowing that- it’s almost like people need to- there’s HR managers, or there’s just the boss, depending on how big you are. If people could just know that they could go and talk privately, confidentially to someone that would just listen, and their job would be safe, I can assure you that for someone that may be struggling and needs time off, you will get repaid in multitudes in terms of their connection with you and how they’ll feel about you as a business. They won’t want to leave you. Clinton Power: This is about also creating a safe and supportive work environment where people feel they can open up about stuff. As an employer, you need to be proactive. Megan Barrow: Yes, and you need to build trust. You need to continue and not do it as a one off. You have to, as hard as some things may be, you have to continue and be strong with that I’ve worked in places where bullying has been allowed and condoned. It’s too hard for me to work out. Do you want to lose a really good employee over an issue, just because you don’t want to work it out? There’s decisions you have to make as an employer. I’m now in that situation where anyone that I bring on board, and that’s only work experience people at this point. I want them to know that they can come and talk to me about anything. I don’t care if they’re taking a day off and I have to do extra work. I want them to know that they can trust me, because I know that that will be repaid to me in the end. Clinton Power: This one also applies to employees as well. The employees need to track and just check in with their colleagues, and check if they’re okay. Megan Barrow: Absolutely, and that’s the thing. It needs to be a cultural thing. It needs to come from the top down. Obviously, I’m a sort of person that would always be on the lookout for people. With my sixth sense, I would know just someone over in the corner that may have just had a bad conversation on the phone. I’ll be over there giving them a cuddle. If someone above me sabotaged that, it meant nothing. It’s a cultural thing. To me, it’s just common sense. It’s just reward and recognition of your employees. People want to go to a workplace that they enjoy. Surely, part of that is having fun. It’s going out, having drinks, having laughs, having jokes. Also, it needs to be somewhere where you feel safe crying. Clinton Power: Well, thank you so much for speaking to us today, Megan. You truly are an inspiration. I’m just so grateful for the work that you’re doing to raise these mental health issues to do with individuals and in the workplace, and also I really see the work you’re doing is so important in reducing the stigma that people experience around mental health issues. Thank you for speaking with us. I hope we can talk again sometime. Megan Barrow: Thank you, be a pleasure.